Will Kimberley Goannas Survive the Cane Toad? 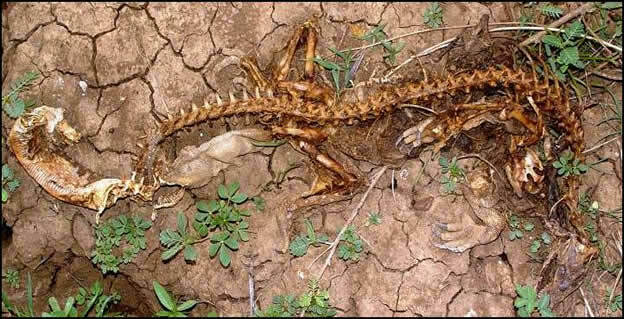 Goanna dies from ingested cane toad – see toad carcass where the belly of the goanna was before it all dessicated in the heat! Photo Left taken on KTB reconnaissance and toadbust Amanbidgi (Old Kildurk Station in N.T.) 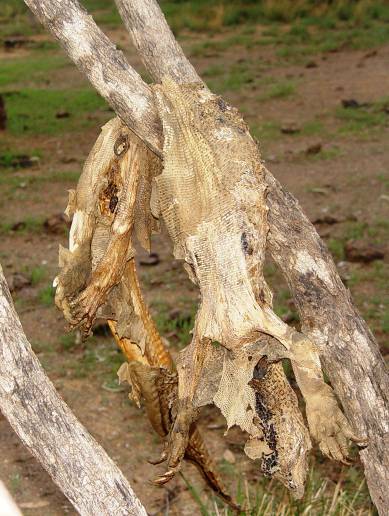 13 December 2008: Goanna dies in tree, highly likely cause was cane toad bufotoxin! “The Kimberley Toad Buster volunteers see the raw face of the impacts of cane toad bufotoxin on Northern Territory native fauna such as dead birds, goannas, snakes, and turtles. They see this while trying to control the toads where they are at their densest numbers - on the forward edges of the colonising front lines, westerly moving towards the Kimberley”, says Lee Scott-Virtue who was on the latest Amanbidgi toadbusts on 13 -14 December 2008, before the rains made access impassable. “Toads were breeding and calling, but we caught most of them. We’ll be back once the tracks dry out,” she added. Tourists in Kakadu today are not seeing our giant predators that they have come to see – our crocodiles, snakes, and goannas. What they are not aware of not seeing is the loss of all the smaller animals down the food chain that support our predators. 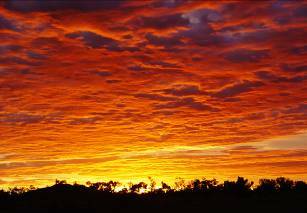 “In 1998 in pre-cane toad Kakadu, I could find 10 frilled necked lizards in a night,” says former Kakadu tour operator, Ben Scott-Virtue. “After three years of toads I could not find one but I could find lots of snakes, quolls and goannas, but they were all dead,” Ben added. 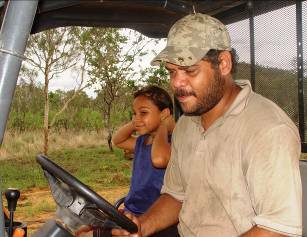 Ben, an experienced snake expert and handler, is no longer running his individualised tours in Kakadu. 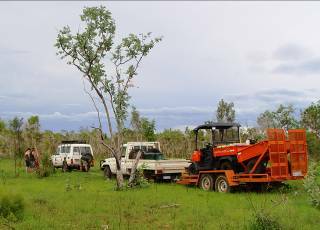 “It would be interesting to know the official Northern Territory Parks and Wildlife pre and post cane toad biodiversity counts for Kakadu but I bet that there have significant measureable losses,” Ben said. “I wonder what is going to happen to our precious Kimberley when the toads arrive?” he added. For over three years Kimberley Toad Buster volunteers have been up close and personal with cane toads as they invade the western regions of the Northern Territory. Our volunteers have been learning all about cane toad behaviour, debunking cane toad myths, humanely killing cane toads, documenting fauna losses, and undertaking and supporting important cane toad research. “We see cane toads poison the goannas. We see other animals poisoned by cane toads,” says 8 y.o. Faith who is already an experienced KTB toadbuster. NOW IT’S A CALL TO ARMS! AND THE KIMBERLEY COMMUNITY IS EXPERT AND READY! 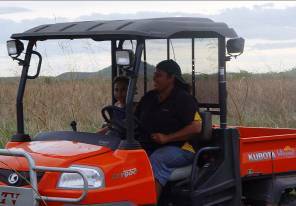 Photo: Junior toadbuster, Faith on toadbusting reconnaissance off the Amanbidgi track with MaryAnne (above) and Sam (right) on the heavily utilised Kubotas funded by Lotterywest. There are three things that are most critical for a successful campaign strategy: Preparation! Preparation! Preparation! and the KTB volunteers now have this in spades after toadbusting weekly in all the Northern Territory cane toad colonising corridors, since 10 September 2005. They have now caught, recorded and dispatched 342,856 mature cane toads from the front lines, and chalked up 491,391 volunteer field hours. “When we started, all the cane toads were at least over 500kms away from home. Now as they get closer, mobilisation is easier and faster, and more accessible more often to more toadbusters. ‘Highway Toadbusting’ does not now require overnight camping – it can be out and back in a night,” says Sharon MacLachlan who is a building surveyor for the Shire of Wyndham East Kimberley in her day job. What Cane Toad Busting Infrastructure and Weapons Do SWEK, and Depts. Of Agriculture and DEC have ready for the community to use against cane toads? “Isolated forward most Cane toads are now 11.4kms from the NT/WA border in the Victoria Highway corridor. The KTBs anxiously await implementation of disposal pits and cane toad drop off points in Kununurra; and good signage ”, says Sandy Boulter who was also on the recent Amanbidgi toadbust. “To date the border quarantine officers have been vigilant about checking for cane toads hitchhiking with unsuspecting travellers. If and when a cane toad actually hops up to the quarantine station on the bitumen at the WA/NT border, the officers there are going to need guidance about what to do. If you are standing in the middle of Kununurra, struggling cane toad in hand, you are going to need to know what to do about it quite soon. We hope that Ag., DEC and SWEK are soon able to work out their respective responsibilities about cane toads and work together to give our community the support in town it is going to need very very soon”, she added. Sometime we get bogged taking in our Kubotas and it’s hard work to get out! And sometimes we see sights that simply take your breath away, and then make you rush to break camp and get out because the rain is really really coming!